Instructions for the foreign box office assigment part of filtering data. 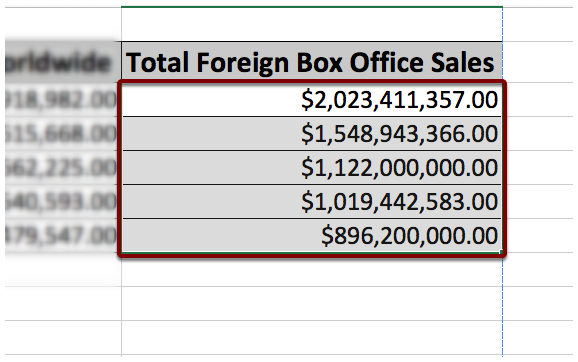 Select the data of "Total Foreign Box Office Sales"
On the Home Tab click on the "Sort and Filter" icon. 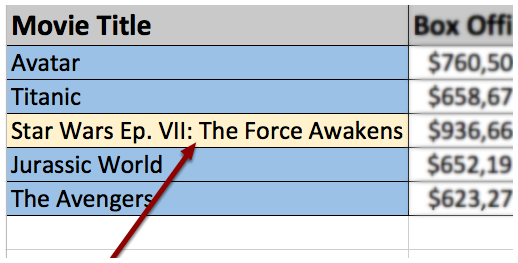 Click on "Sort Largest to Smallest"
Select the 5 movie titles. 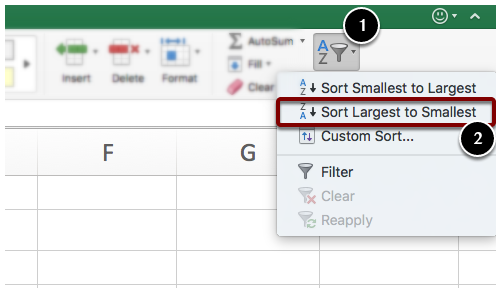 On the Home Tab click on the "Sort and Filter" icon and click on Filter. A drop down arrow will appear, click on it. On the "Sort" section click on "By color" box. Click on Cell Color, select the blue color. 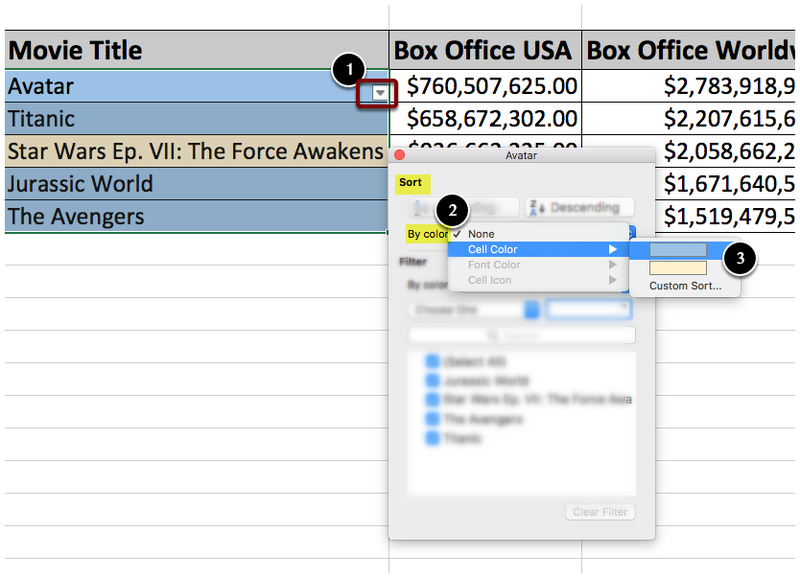 Prev: How Do I Insert A Text Box In Excel?